Ellis “Mac” Knight, MD is senior vice president and chief medical officer of Coker Group. With over 30 years in the healthcare arena, he has developed significant experience and knowledge in this industry. 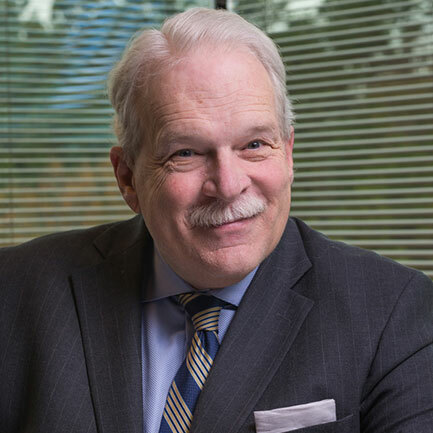 Dr. Knight serves as Coker Group’s chief medical officer and works on a variety of projects where his clinical background and knowledge of clinical operations bring additional value to the client. He has particular expertise in value-based reimbursement models and retooling care delivery systems through clinical care process design, cost accounting, clinical integration, and clinical documentation/coding. He is familiar with the management and operations of rural hospitals, community hospitals, public hospitals, large health systems (to include academic medical centers), and physician practices of all types and specialties. He also provides expert witness services to defense attorneys around malpractice claims against hospitals or physicians. Dr. Knight continues to practice with the Emory Hospital Medicine Services at Grady Memorial Hospital in Atlanta, Georgia. Served in several executive roles for Palmetto Health in Columbia, South Carolina, where he oversaw Palmetto Health’s employed physician network, ambulatory services division (rehab, lab, home health, hospice care, and imaging). Helped to develop and manage Palmetto Health’s clinically integrated network, the Palmetto Health Quality Collaborative. Served as Palmetto Health Richland Hospital’s vice president for medical affairs. Developed Coker’s ValuePathTM services, which are designed to smooth the transition for healthcare organizations from a volume- to a value-based business model. Oversaw Coker’s revenue and quality integrity (RQI) services, offering expert advice on coding, compliance and clinical documentation to healthcare organizations of all types.